MOUNT VERNON—The former head of purchasing for the Mount Vernon City School District has been indicted for bribe receiving, official misconduct and larceny. Rose, 49, of Pease St., was arraigned Tuesday on two counts of felony third degree bribe receiving, three counts of official misconduct, one count of receiving unlawful gratuities and one count of petit larceny, all misdemeanors. The Westchester district attorney’s office says that between June 21 and July 13, 2005, Rose agreed to accept and accepted a bribe of $3,500 from a sales representative of Ricoh Americas Corporation for his assurance that Ricoh would receive a five year contract from the Mount Vernon School District for 73 digital copiers, support products and related services. On Aug. 3, 2005, upon the defendant’s recommendation, the Mount Vernon City School District awarded the contract to Ricoh. The cost of the contract was in excess of $1 million. Between June 1, 2006 and Sept. 1, 2006, Rose solicited and accepted a bribe in the form of a $10,000 donation to his church, Upon This Rock Ministries, from the owner of a Tri-State Supply Company, a custodial supply company, in exchange for future business which was subsequently awarded. In a third incident, between March 1, 2006 and Sept. 1, 2006 Rose secured and used a school district gas card for personal use. The Investigations Division of the New York State Comptroller’s office assisted in the investigation. This still happens - it's a shame. Bad purchasing procedures and "...a trend where capital equipment is purchased or leased without any regard to the operating costs or ability to run the equipment (lack of adequate power capabilities). This is like the Dell computer purchase fiasco at Lake County where they bought Dell computers without including the cost of an operating system, and installing servers in schools that do not have adequate air conditioned rooms for them to run without burning out. School administrators seem to ignore consolidating total system costs into one purchase request for capital equipment. Capital is in one budget and expenses are in another, and total system cost (including a review of environment to ensure the equipment CAN be used as justified) is not combined so it is all researched and disclosed before any equipment or capital expenditure is authorized..."
Seems to me someone is a little bitter at the company...you know as well as most it isn't as bad as you say. Every company has its weaknesses, but you don't become a 4 billion dollar company by not delivering what someone orders 98 percent of the time. 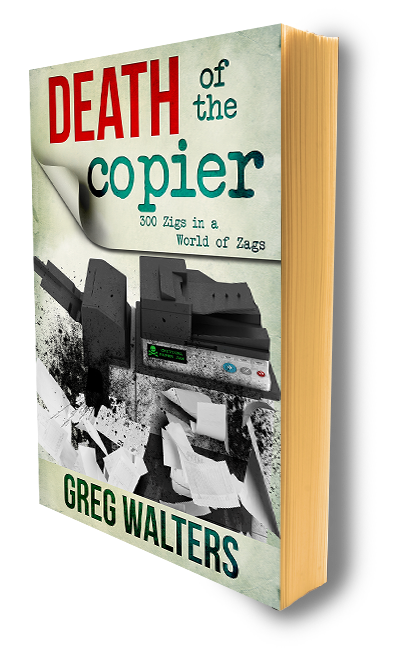 Ok - well, "facts are stubborn things..." and this article, as well as others regarding crime and copiers, is factual, and meant to point out that Purchasers and Copier folks do wrong. I mean, did you not see the guy taking the coins out of the coin box? That wasn't an IKON employee. And yes, all industries have things like this occur. In this case I was not "bashing" IKON - I do not care enough to be bitter. Perhaps you should search my blog and read ALL the references to IKON - while you're at it, Google "copiers" and "crime" and see what comes up...it isn't just IKON.